When I was first looking into a set of computer speakers, many brands tickled my ear but few really caught my eye. Edifier are a perfect example of a brand renowned for their unique styling, providing a very unorthodox and even artistic take on the conventional computer speaker. 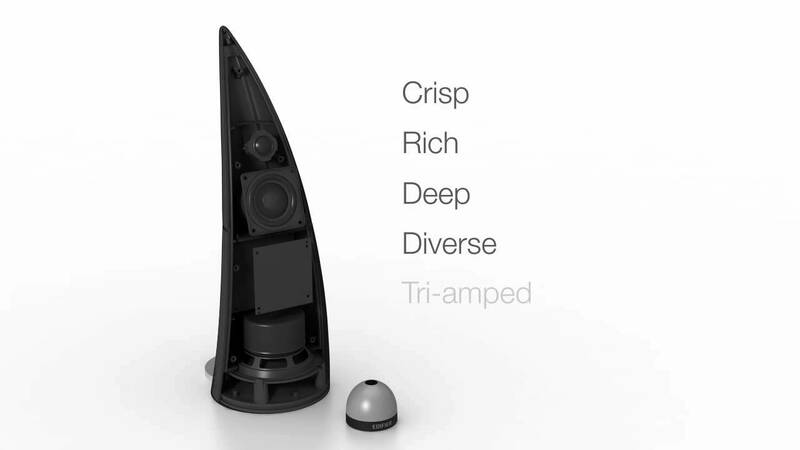 While the E25 Luna Eclipses seem to have taken the spotlight with their striking crescent housings and opposing passive radiators, the e30`s by pure specification and numbering hierarchy alone, once represented Edifier`s flagship computer speaker. Recently, through aggressive price cuts, the Spinnakers now carry the same $300 AUD RRP as the E25`s yet offer additional active bass drivers and features on top. This asks the question, do the Spinnaker`s remain competitive with newer, smaller speakers and can they best Edifier`s own Luna Eclipse? These are my experiences as a long term owner of both speakers. I would like to thank Edifier very much for sending me a set of Spinnaker speakers in exchange for my honest opinion. I am not an employee of Edifier, nor is there any monetary incentive for a positive review. I will be as objective as possible and provide an honest evaluation of the product. As the flagship of Edifier`s “Image” line of computer speakers, the e30`s are definitely packaged to impress. The box is similar in design to Edifier`s other more premium products and the distinct look will no doubt be familiar to returning Edifier customers. The two tone white face with black sides design is certainly catching, providing a nice sense of contrast to the images on display. Edifier lists a few key specifications on the rear along with a rundown of the overarching features. A few accompanying renders illustrate the various functions of the Spinnakers. Inside buyers will find two Styrofoam inserts sandwiching the speakers, accessories and papers. Opening up the top face reveals the Spinnakers wrapped within a nice drawstring bag, the controller, power adapter and interconnect cable (Identical to the Luna Eclipse). Underneath is the user manual and warranty papers. The included remote has an intriguing design and rather impressive build quality when compared to the e25`s plastic remote. It`s largely featureless, comprising mainly of an aluminium dome with a matte button replacing the apex and a rubberized base helping to maintain stability. A transparent ring runs the perimeter of the base, illuminating red to denote function. Of note, the controller connects to the speakers through Bluetooth as opposed to IR. As such, the remote does not require a line of sight connection and can be used much further from the speakers. Its range spanned the length of my entire house which will be sufficient for pretty much any use. The controller is powered by an in-built rechargeable battery that is claimed to last for 2 months, I got just over 7 weeks in my testing, not bad at all. It`s easily charged through a conventional micro-b port on the base, the illuminated ring slowly pulsates when charging and turns off when fully charged. The remote feels solid in the hand, the base adheres well to your desk and the rough texture of the aluminium allows for fluent usage. I appreciate the additional functionality of the Spinnaker`s remote over the Luna Eclipse, or a standard remote at that. Functions are controlled through the button, rotating the aluminium top and a combination of both. The rotation mechanism is well weighted with a slight ratchet for more precise steps. I find this rotating remote to be far more satisfying than a simple button remote, it`s similar to using an analogue pot or a home theater amp for example. For those wondering what functions the remote offers, basic rotation controls volume with each ratchet pertaining to 1 of around 50 volume steps. The button at the top controls the mute function and holding down the button while simultaneously rotating will skip tracks. Notice mute function, the remote has no play/pause button, it simply quiets the speakers in isolation from the source which will continue playing. All these functions worked reliably for me, but the speaker`s lack of physical buttons did still bother me. I understand that they would be difficult to implement given the speaker`s design, but the Spinnakers are not even equipped with a power button, you can only power on/off through the included remote (more on this later). But all considered, I think the Spinnaker`s come very well packaged and the included accessories are of great quality. Buyers will be pleased with the included kit for the $300 RRP. The Edifier Spinnakers are a Bluetooth enabled computer speaker with a design that`s hard to quantify in photos or renders. That`s because a large part of the “Spinnaker experience” is actually in the feel; the weight of the aluminium base, the rough texture of the fabric covers and the subtle honeycomb of the speaker`s internal structure. I was recently in contact with Amber, a very friendly member of the Edifier team who clarified their computer speaker hierarchy to me. The Spinnaker is clearly superior to the Luna Eclipse in terms of specification, why is it the same price? The answer was simple, the Spinnaker`s aren`t as popular as the e25`s. But that`s hardly surprising given their design, the Spinnaker`s really need to be felt in person to be appreciated. There is method behind that quirky build, the Spinnakers have a split identity as a TV/Home speaker, with an exotic and premium look to match. This is exemplified by the speaker`s dimensions. Although they`re smaller than I had imagined, the Spinnaker`s stand very tall, just exceeding 40cm (twice that of the e25`s). They somewhat make up for this with their small footprint, if you have the vertical space, then the Spinnakers will fit comfortably on pretty much any desk. And this height actually does work to the speaker`s advantage as the treble and midrange drivers are at ear level, negating the need for a speaker mount whilst omni-directional bass tones radiate from the bottom. Sound radiates through three honeycomb vents (one for each driver) in the Spinnaker`s plastic frame, peaking through the fabric that encases the outer surface. A thin matte black band runs just beneath the midrange driver, I`m assuming it marks the separation between the bass driver enclosure and the rest of the drivers (no passive radiators here). The band meets up with a similarly finished plastic strip that runs down the rear of the speakers. The plastic feels to be quite thick and no aspect of the speaker ever feels hollow or cheap, but that`s to be expected of an expensive flagship product. There`s not much to say about the design really, apart from the unorthodox shape of the speakers, they`re otherwise clean and solid. While this simple design does grant the speakers a very distinct look it can make them appear awkward in photos. Take renders with a grain of salt, the Spinnakers are a very good looking speaker in person. Just like the Luna Eclipses, the right speaker houses the bulk of the speaker`s electronics and interfaces. The very top of the right speaker houses a small LED that displays the speaker`s status through various colour changes; red for optical, green for aux and blue when connected over Bluetooth. The LED will also flash when the speakers have been muted. It`s a reasonably simple system, but due to the curved top of the speakers, the LED is often hard to see, especially if you intend to use them as a bookshelf speaker. In addition, cycling through these four modes is a little more difficult than it should be, requiring the user to hold the centre button on the remote for 3 seconds to switch to the previous mode. It can get a bit tedious, especially when powering off the speaker`s whilst connected over Bluetooth as you must first hold the button to exit Bluetooth mode, hold to enter standby then hold an additional time to power off. There`s also no sound prompts to signify connection or power (which I personally appreciate), if you`re not familiar with the LED system then the speakers can be unjustifiably difficult to operate. I often have a hard time explaining this mechanic to new users who are intrigued by the speakers looks, it should be easier, but I digress. Each speaker has an aluminium support which provides some additional stability. The supports are well machined with a pleasing concentric texture and are laser etched with the Edifier logo. The base of the speakers are covered in a ring of rubbery foam that`s surprisingly grippy and prevents the speaker from scratching your desk. Even during maximum volume playback, the speakers did not wander or rattle. As the bulk of the electronic circuitry is housed within the right speaker, this is also where the majority of the connectors are found. On the bottom of the right speaker lies the power-in port, a bass expansion port (to connect an external sub-woofer), an optical/aux connector and a port for the interconnect cable that powers the left speakers. There`s also a firmware update port, however Edifier does not include the necessary cable to facilitate this yourself. Like the E25, the proprietary cable that adjoins the left and right speakers limits placement and stereo separation to a degree, but they still comfortably flank my 60″ TV. For reference, the cable is 3m long. The bottoms of the speakers have in-built cable management grooves to keep everything in order, this will limit the use of some third party cables, but most should fit in just fine. The aluminium supports also have cutouts for the cables, routing them towards the back of your desk for a cleaner look. The speakers connect either through wired or Bluetooth 2.1 connection, unfortunately they do not support apt-x, but wireless range and reliability is very good. I got through 3 rooms (double brick) before sound became intermittent, quite a bit better than both the Edifier Rave and Luna Eclipse in my uses (both cutout around 2 rooms). Again, I very much appreciate Edifier`s Bluetooth system, rather than defaulting to your previously connected device, the Spinnaker simply goes into pairing mode when powered on, making for simple multi-devices connection. The Spinnakers vary from the Luna Eclipse mainly through their more extensive driver setup. Utilizing a triple driver, triple amped configuration, each driver has plenty of power and plenty of space given the speaker`s tall cabinets. Up top is is a single 19mm silk dome tweeter with a 70mm midrange driver just below. At the very bottom, Edifier have mounted a 25W, 116mm downward-firing subwoofer to provides some low end kick. This provides the speakers with a combined output of 90W RMS, about 20% more than the Luna Eclipse, along with a frequency response stretching from 50Hz to 23kHz. It`s also worth noting that the speakers have a remarkably higher SNR than the Luna Eclipses (90dB vs 85dB). I didn`t notice a lot of noise on my set but a few reviewers found it intrusive. The Spinnakers have no such issues, apart from a small pop when first powered on, they`re pretty much silent. Edifier also includes their signature DSP with a 6-way digital crossover. I find Edifier`s DSP to be pretty sensible on a whole. It helps with high volume playback in particular, altering the FR to prevent clipping and helping the drivers maintain coherency and composure, but there`s a strange soundstage effect that can make female vocals sound a bit artificial. Regardless, Edifier provide a lot of product for $300, few 2.0 computer speakers pack such intricate setups and the ability to add an external sub will be appreciated by media lovers. But the proof is in the pudding and the Spinnaker`s make great use of this technology in their sound. And what a sound they produce, the Luna Eclipses were a very solid speaker, but I find myself enjoying the Spinnaker`s that much more. As more of an entertainment speaker, the Spinnaker`s provide a slightly lusher, fuller sound than neutral with a crisp high end and robust bass response. Despite this, when placed correctly, the speakers are actually still pretty close to neutral at least for an entertainment speaker. I would still call them v-shaped though very tastefully so. In comparison to the Luna Eclipse, the Spinnaker`s sound lusher and fuller but also more linear throughout the midrange, making for a more convincing listen when gaming or watching movies/videos. One of the largest reasons I enjoy the Spinnakers over the Luna Eclipses are those large active bass drivers. Here, volume compensation absolutely isn`t required and the Spinnaker`s maintains a full presentation even during very low volume playback, unlike the majority of speakers that employ passive radiators. The bass sounds pretty linear to my ears with just a slight sub-bass emphasis providing some additional fullness, bass was largely devoid of bloat and midrange spill was non existent. Perhaps this can be attributed to the speaker`s extensive driver array, I found the 5 driver UM 50 Pro iems to be similarly well separated. Since bass radiates from the bottom, the speakers are sensitive to placement. Bass tones radiate from the front and sides (not rear) so placing each speaker within a corner can provide considerably more low-end. It really depends on preference, but it`s worth considering based upon your intended application. The midrange is similarly tuned with a slightly fuller than neutral presentation. Both upper and lower mids have a pleasing sense of body, but upper mids are thinner due to a slight boost in clarity. So the whole lower-mid range of the sound is pretty natural sounding and also pleasingly linear on a whole. The treble, however, isn`t so neutral. Instead it has a slightly thinner character that can sound slightly raspy at times but never sibilant or fatiguing. This is because treble isn`t overly boosted, rather it`s slightly accentuated to neutral depending on range. That being said, this small emphasis does give the speakers a little more excitement, more aggressive detailing and contrast to the sound in general. I`m not sure if I would have preferred the Spinnakers with more treble body. Regardless, I think the tonality is very well tuned on a whole. The soundstage gets a notable mention, like the Luna Eclipses, the Spinnakers permeate a large sense of space, with a nice, well rounded presentation. Imaging is pretty good, not as immaculate as a similarly priced IEM or headphone but great for a computer speaker system. Instrument separation is very, very good and each frequency range has a nice bubble of isolation without losing coherency. Edifier`s triple driver setups is working very well here. I`m sure the DSP is adding some psycho-acoustics, like the Envaya Mini, but it absolutely works, well complimenting the speaker`s dynamic sound. Of course placement plays a key role in soundstage, but the Spinnaker`s maintained a nice presentation even during near-field listening. Volume is unfortunately a mixed bag. I actually think the Luna Eclipses output more volume, they get a bit harsher than the Spinnaker`s at maximum output but their more prominent high end emphasizes perceived volume. By comparison, the Spinnaker`s struggle a little more, they maintain a much fuller sound but the sound gets congested and compressed at high volumes. While both will confidently fill a medium sized room, perhaps even a large room with a little difficulty, the Spinnaker`s don`t match the volume of most other high-end 2.0 and 2.1 systems in this price range. For desk usage, the volume offered is absolutely sufficient and they`ll compliment a TV setup with ease too. One concern many users have is quality degradation over Bluetooth. Despite supporting an admittedly outdated standard (2.1) and lacking apt-x support, the Spinnaker`s don`t lose a whole lot of quality when connected wirelessly. My experiences were similar to that of the Luna Eclipse, bass becomes a little looser and the high end perhaps slightly more brittle, but otherwise I feel that the Bluetooth circuitry within the Spinnaker`s is pretty solid. Even connected to my laptop (which has abysmal Bluetooth range), the Spinnakers were free from dropouts or stuttering, a problem I frequently had with the Luna Eclipses. Latency is also relatively low, not as seemless as apt-x enabled devices, but low enough to enjoy a movie or youtube video. Audio lag is always perceivable but not to a distracting level, for videos it shouldn`t be a problem, this can be rectified in VLC for movies but for gaming I would probably recommend a wired connection. The audio evaluation below was done through a wired connection, almost all of it still applies when connected over Bluetooth. The bass has a full yet linear tone that flatters pretty much every genre of music. It definitely has more of a laid back presentation, I found that the Spinnaker`s flatter Jazz in particular, but there`s still plenty of detail and definition to the sound. The quantity of bass is a great trade off between enjoy-ability and versatility, it`s sufficient for music but movies and games also benefit from this slightly fuller sound, especially the sub-bass boost. In that regard, bass is accentuated from neutral, but not to the extent that you start to lose definition. I find this kind of tuning is particularly sensitive to the quality of the source file/player. Listening through my radio, the lack of sub-bass from this poor quality source resulted in quite an anemic bass response lacking a lot of impact, while the more mid-bass focused Luna Eclipses sounded punchier and more dynamic. With high quality MP3 and lossless files we see the tides turning in favour of the Spinnakers that have the extension and nuance to take advantage of the extra information. Notes come through with plenty of texture and detail, not the best I`ve heard, but still up there within the price range. The twin radiator Luna Eclipses have a punchier, leaner bass response and also a little more definition to each note but the Spinnakers offer a more even, more extended bass response in return. Speaking of which, the Spinnaker`s are very extended for a computer speaker in general. Rolling off smoothly once they hit 50Hz (as per the specification), the Spinnaker`s offer as much bass extension you could hope for without a dedicated subwoofer, but of course an external subwoofer is easily connected to provide a more visceral experience. Sub-bass in particular is much fuller than the Luna Eclipses whilst mid and upper bass are just slightly more emphasized on the Spinnaker. It`s a very nice presentation with very impressive but not class leading detail and texture. The midrange is the most flawless aspect of the Spinnaker`s sound. For my individual tastes it`s almost perfectly tuned and I`ve gotten similar comments from friends and family, the supreme midrange on the Spinnaker`s make for an incredibly satisfying listen. The Luna Eclipses by comparison are a little thinner sounding with more scooped mids that make for a more vivid if less accurate listen, I feel that the Spinnaker`s will be superior the vast majority of the time. The Spinnaker`s presentation reminds me of the Oppo PM3`s, not overdone but tastefully tuned. In kind, the lower midrange is very clear, just slightly fuller than neutral. That being said, male vocals sound ever so slightly truncated, perhaps there`s a small dip in the very middle of the midrange, but otherwise the lower midrange sounds pretty level. This grants acoustic a very pleasing tone with a great sense of body and timbre without sounding overly congested or thick. The same goes for piano, with every note being reproduced with compelling detail and clarity. Upper mids are just as impressive, if not more so. With an emphasis on clarity, the upper midrange reveals a great amount of detail and intricacy. The amount of detail is probably the most impressive aspect, it`s fantastic for any speaker in general. Speech intelligibility is also great, emphasizing the versatility of the speakers for movies and games. Female vocals are a specialty of the Spinnaker. The upper midrange has fantastic clarity and a nice sense of body with notes coming through clear without sounding thin. There`s also a nice crisp tone that really brings intricacies to the fore. Strings sound extremely textured without that piercing sound you get from some speakers, wind instruments are similarly pleasing to listen to and overall instruments in this frequency range are just well represented. Top marks for midrange there`s not too much more to say. The treble response is a little more hit and miss than the bass and treble. Treble has a thinner body than the rest of the sound making it sound a little out of place at times. It`s also missing that last bit of extension, rolling off at the very top. High hats sound very close to wood sticks and cymbals are a little splashy. Despite this, the treble does contribute a lot to the pristine detailing of the Spinnakers, the slight emphasis adds a little excitement to the sound and the treble never sounds fatiguing. The treble on the Luna Eclipses for example was more emphasized, sounding slightly harsh at times, but the Spinnakers avoid this entirely whilst retaining high-end crispness. They could do with a little more treble body and maybe even a little more quantity, but the treble is still a solid performer, it`s just overshadowed by the wonderful performance of the Spinnaker`s midrange. In my Denon Envaya Mini review, I called the speaker balanced. I wasn`t insinuating that they were even remotely close to a studio reference monitor but rather that the Denon Envaya Mini was balanced for a portable speaker. With the spinnaker`s I find myself using similar vernacular. The Edifier Spinnakers are not necessarily balanced, but they have the right balance between frequencies for an entertainment/media speaker. Whilst the unconventional aesthetics of the speaker may be off putting for some, the rock solid build quality and fantastic audio performance of the Edifier Spinnakers should be enough to win over most buyers. With an RRP of $300 AUD, they`re not cheap, but the Spinnaker`s audio performance more than justifies the price tag, the exotic design and quality kit are just the icing on top. Accessories – 10/10, Nice packaging similar to Edifier`s other Image speakers. Comes within a nice fabric pouch great for transport, included cables are thick and well shielded. Remote is of great quality and uses a rechargeable battery over a conventional button cell. The remote also supports numerous functions rarely found from computer speaker controller. Design – 8/10, Aesthetics will be subjective but the tall, curved cabinets project sound at the correct height and attribute to the large sense of space created by the Spinnakers. I did not appreciate the lack of buttons and the status LED can be hard to see at times, but otherwise, the speakers have a very appealing design that blends home theater styling with computer system flare. Bass – 8.5/10, As extended as a computer speaker gets without an external sub. Great texture but missing that last but of definition. Great detail retrieval with a mostly linear emphasis that flatters most genres. Slight sub-bass emphasis is great for movies and games. Mids – 9.5/10, Pretty spot on tuning, flat with a little more body to the lower mids and a little more clarity to the upper mids, small dip in the very middle. Great intelligibility and resolution, very impressive detail retrieval for a computer speaker. No real complaints. Highs – 8/10, Slight roll off up top and a slightly thin body, great detailing with a crisp tone. The highs have a little accentuation devoid of harshness or fatigue but are still a little thin for my liking. Overall – 9/10, The Spinnakers from Edifier combine an extensive driver array with advance electronic sub-systems to create an engaging listening experience. The design is very unconventional but works well for most setups in reality. All included accessories and packaging are what you would expect from a flagship product. Edifier could work on the controls of the speaker, going purely through the remote is not ideal, but aside from this, the Spinnaker`s are a fantastic buy within the $300 price range. At their current price, having owned both speakers, the Spinnakers provide a much more compelling experience than Edifier`s similarly priced Luna Eclipses and, in terms of musical performance, easily best other 2.1 systems from Logitech and Klipsch. Thank you so much for you detailed reviews. They are very helpful. I recently got rid of my wired hi-fi set up due to space and right now only have the Fluance SoundBase. It does a solid job with tv and movies, and it is ok for music, but not excellent. I have been wanting to find a high quality powered speakers that also have bluetooth, but still great audio. Edifier seems to offer a lot bang for the buck in this category. Unfortunately, the wood on the S1000 and S2000Pro would kinda clash with my living room tv set up. It seems like those are their best speakers they offer in the U.S., but a Black finish will really look much better in my setup. I wanted to get your thoughts based on sound quality which would you choose between the Spinnaker and their R2000DB bookcase speakers? And in your opinion would either of these really deliver high end sound, I am missing or would I need to go for something else like the JBL305 or the Edifier S2000. Thanks in advance for your advice.